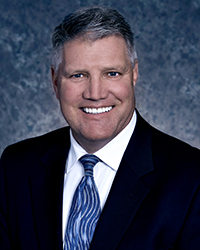 Prior to his residency at the Christiana Health Care System, Dr. Binnersley graduated from the University of Maryland School of Dentistry in 1996. He is a member of the American Dental Association, American Academy of Cosmetic Dentistry, the First State Implant Study Group and the Delaware State Dental Society. In addition to his professional affiliations, Dr. Binnersley has attended the Las Vegas Institute for Advanced Dental Studies, (LVI). Courses at LVI have helped to advance Dr. Binnersley’s skills in the areas of aesthetic and restorative dentistry. Dr. Binnersley from Dental Associates of Delaware. Dr. Hansen graduated from Smyrna High School in 1978 prior to graduating from Swarthmore College in 1982. He then went on to earn his Doctorate of Dental Surgery from Temple University in 1986. He was the first to join our Middletown office in 1987, following a residency program at the Medical Center of Delaware (now called Christiana Care). He is a member of the American Dental Association, Delaware State Dental Society, and the First State Implant Study Group. Dr. Hansen is also involved in many local community organizations, having served on the Board of Directors for the Middletown Area Chamber of Commerce, the Rotary Club, the MOT Senior Center and the Boys and Girls Club. Dr. Hansen is a lifelong resident of Delaware and resides in Smyrna with his wife, Brenda. Together they enjoy golfing, skiing, traveling and entertaining family and friends. High on Dr. Hansen’s list is spending as much time outside as possible. When not in the office, you can usually find him “playing” in his yard. Dr. Hansen from Dental Associates of Delaware. 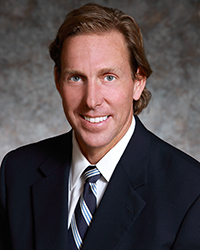 After completing his undergraduate studies at Duke University, Dr. Ryan graduated from the University of North Carolina Dental School in 1992. Dr. Ryan completed his residency at the Christiana Care Health System. 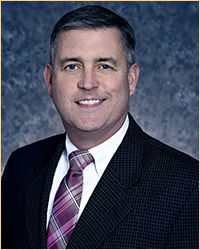 Entering private practice in 1993, Dr. Ryan became the second to join our Middletown Office. He is a member of the American Dental Association, Delaware State Dental Society and the Academy for Sports Dentistry. In Addition, Dr. Ryan has completed courses at the Las Vegas Institute for Advanced Dental Studies. Dr. Ryan from Dental Associates of Delaware.